Alaska is BIG!—Twice the size of Texas, in fact, and larger than 22 of the smallest US states combined. Not only is it roughly a third the size of America’s lower 48, but only about 20 percent of it is accessible by road. You need to pick a region and allow time to explore the area you’ve chosen. Denali National Park—6 million acres of wild, natural beauty and wildlife surrounds the tallest peak in North America. Kenai Peninsula—A microcosm of glaciers, coastal inlets, marine life, fjords and breathtaking scenery. The Inside Passage—A 1,000-mile waterway through a narrow strip of mainland and islands that make up Alaska’s panhandle. Watch for whales, seal pups and bears fishing for salmon along the shoreline. Glacier Bay—At the northern end of the passage, Glacier Bay is home to schools of orcas and humpbacks, but the key attraction are the dozens of glaciers that calve sheets of ice the size of houses, thundering as they plunge into the icy waters below. 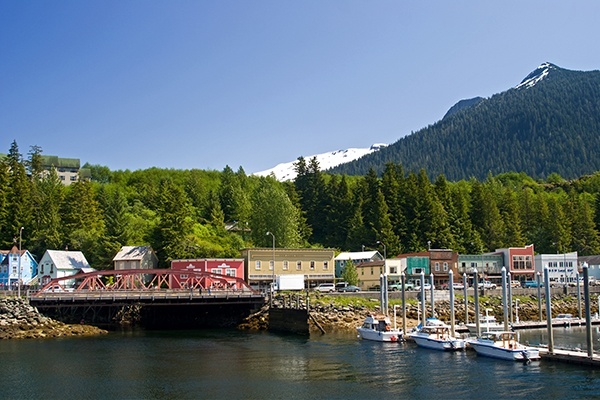 Do Something Authentically Alaskan—We suggest visiting the totem pole capital of the world in Ketchikan, or stopping at the Alaska Wildlife Conservation Center to say hello to bears, elk, bison, wolves and more. Eat Something You’ll Only Find Here—Many of the foods in Alaska, like salmon, crab and buffalo, are popular throughout the US. To have a truly Alaskan meal, order up some reindeer meat or caribou. Budget for Excursions—Tours are essential. After all, it’s the special experiences you’re here for. But be aware that in Alaska, excursions often require a plane, a boat, a guide, or gear, and that means added expenses. Since this is a once-in-a-lifetime journey, make sure to budget accordingly, or travel with a group operator like YMT Vacations that allows you to include excursions in the price of your travel. You can explore the rugged wilderness and natural beauty of Alaska on several of YMT Vacations’ escorted tours and cruises like the Grand Alaskan Cruise & Tour. You’ll see glaciers up close and explore Denali National Park, cruise the famous Inside Passage and explore charming local communities. To make your arrangements, call your travel agent or YMT Vacations at 888-979-0586.